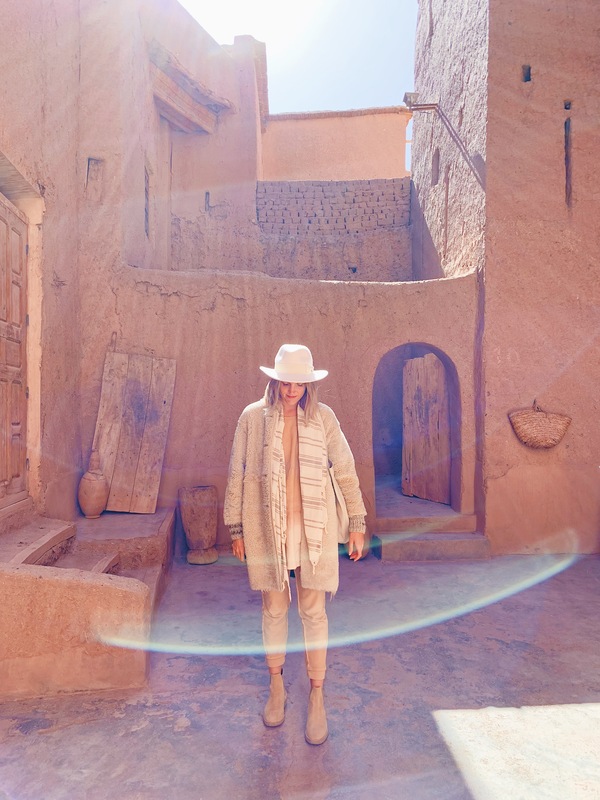 It’s hard to put the magic of Morocco into words. A place like no other I’ve ever been. A place I’d always dreamed of going. And a place that continually wowed me with its beauty, intensity and rawness. 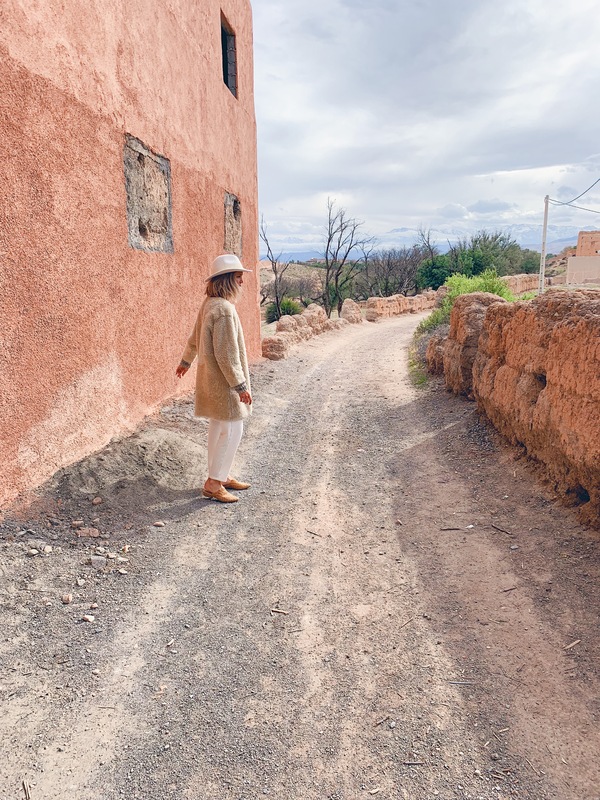 Morocco is the type of place you go to and immediately want to go back because you feel like there is so much more to uncover. I’d be lying if I said I didn’t base most of my ideas of Morocco off photos I saw on Instagram or elsewhere on the Internet. The physical beauty of the place, of the architecture and design shines through in photos, captures your eye and makes you want to travel there. And I can tell you that it’s actually even more beautiful in person. What those photos don’t show you though are the intense streets of the cities, the loudness, the busyness, the in-your-faceness. 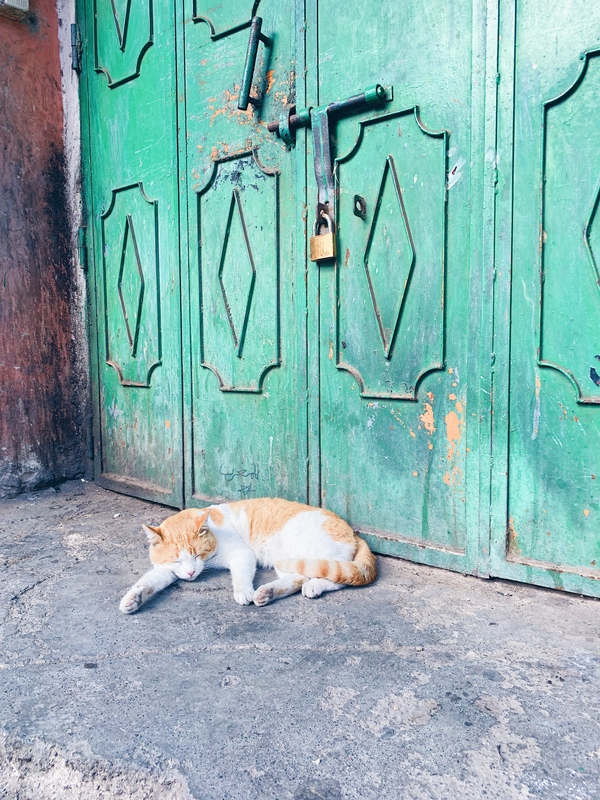 The first 36 hours in Marrakech were intense. I was completely out of my comfort zone, and I hadn’t felt that way when traveling in a really long time. We got scammed twice on our first day. By nightfall I was having a dialogue with myself in which I was feeling really bad because I wasn’t sure I liked Marrakech like I thought I would. But after settling in a bit, experiencing the streets and getting more acquainted with the culture and our surroundings, I began to see beyond my first impressions, beyond my limiting expectations of this country I made before arriving. This trip brought up a lot of questions about privilege, about freedom of expression, about being pulled outside my comfort zone. I felt like the entire 2 weeks was filled with realizations and epiphanies. It was so fulfilling to be in a place that made me think critically about my own life and about the world at large. 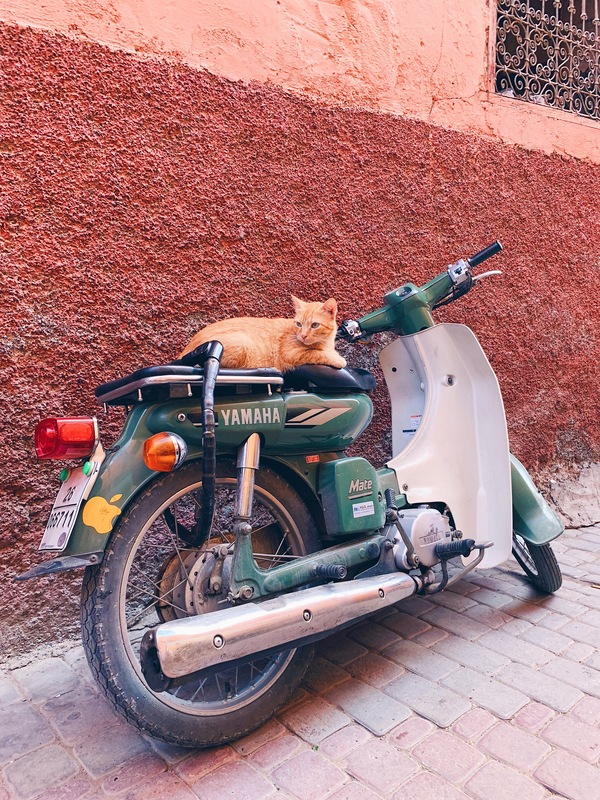 Sure, the beautifully decorated riads and fancy upscale restaurants are nice and enticing, but the lively streets and bustling Medina culture are real and raw. 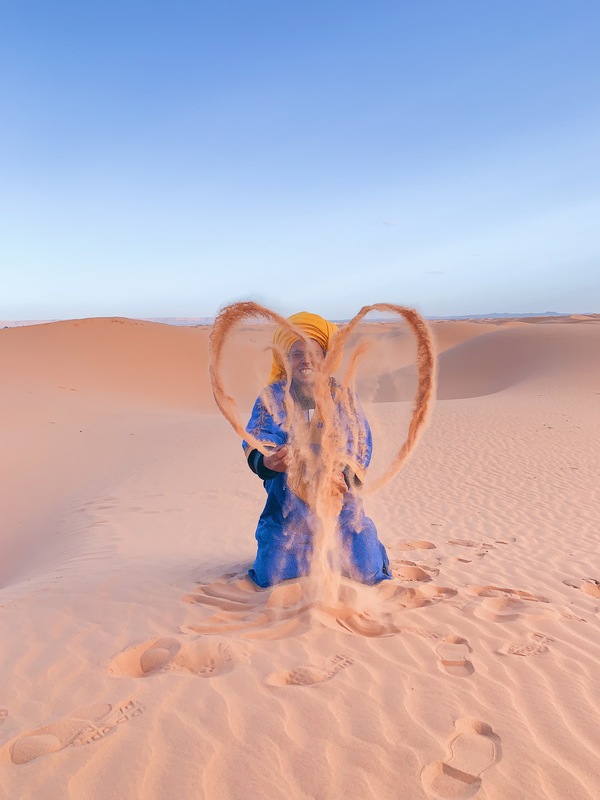 Morocco wouldn’t be nearly as magical without them. Witnessing the Islamic Call to Prayer everyday, multiple times a day was an honor. To see that level of devotion is deeply inspiring. And what a treat to see so many artisans dedicated to making their crafts by hand. To enter into a world that is completely different than the one I live in day-to-day was humbling and awe-inspiring. 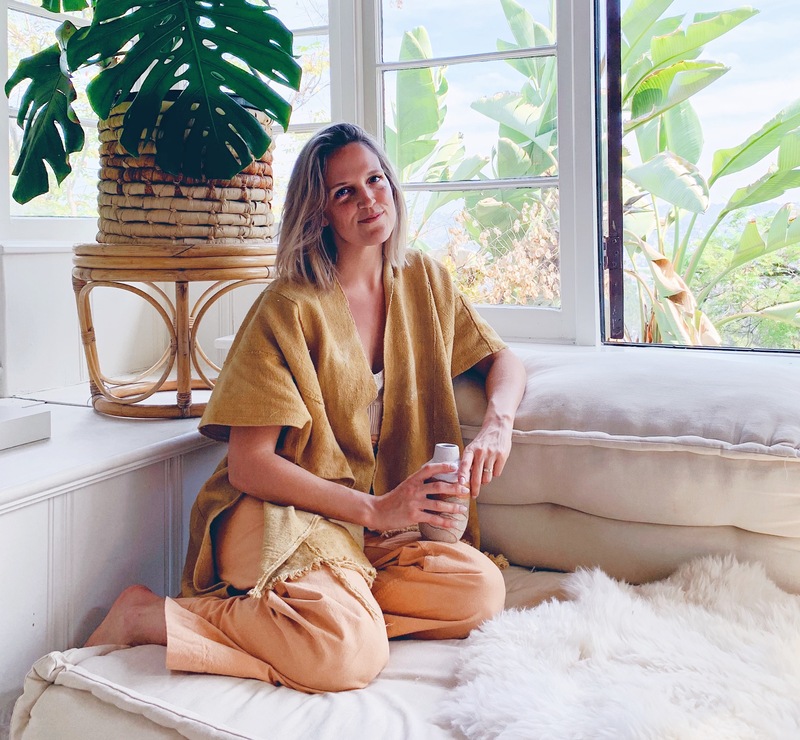 It was a constant practice in approaching each moment with mindfulness, discernment and a deep respect for the traditions and cultures of the land. 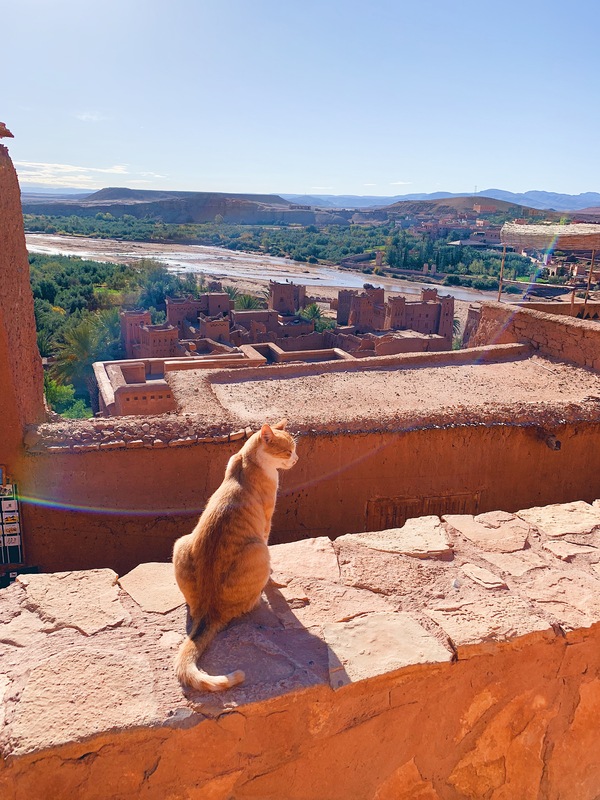 My main piece of advice if you are planning a trip to Morocco is to let go of all your expectations. Let the magic of the country surprise you and teach you in ways you never could have imagined. Use this guide as a loose outline, but don’t get caught up in following it exactly. Let your intuition guide you and open your senses to all this amazing country has to offer. 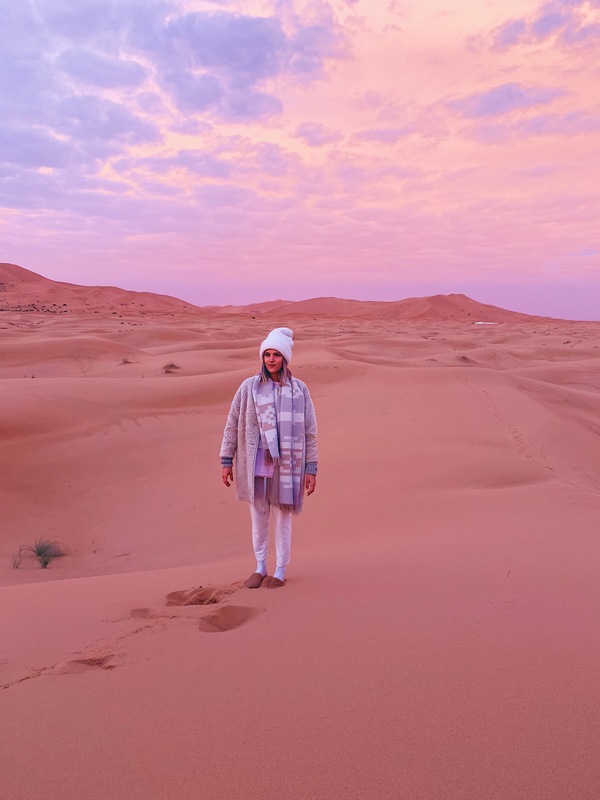 Wild Morocco – We booked a 3-night, 4-day private tour and loved it. We felt safe the whole time and got to see so much of the landscape of Morocco. Our driver/guide Salah was such a great guy. Super knowledgable, friendly and easy to talk to. It was nice being able to ask questions and really get to know the country through someone who’s lived their his whole life. 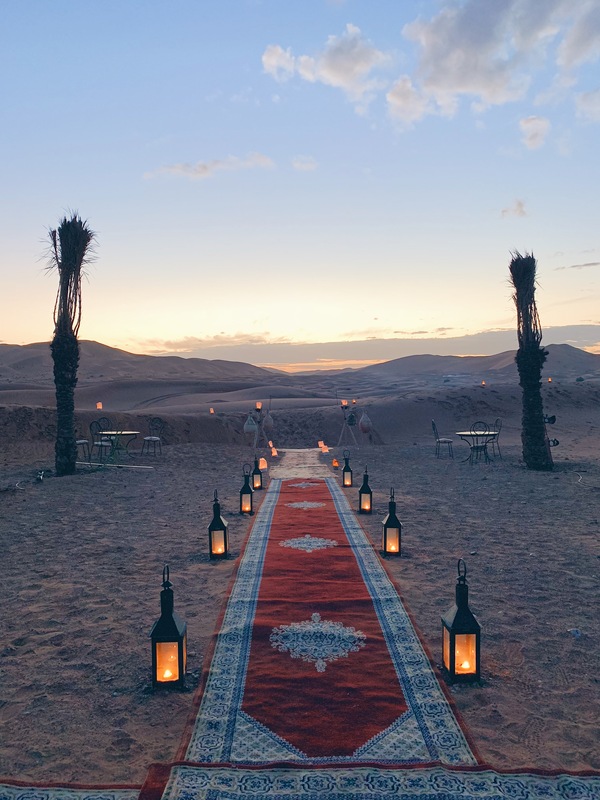 Wild Morocco has a variety of different itineraries to choose from and even offers custom trips if you have an idea of somewhere you want to go. I would definitely travel with them again. 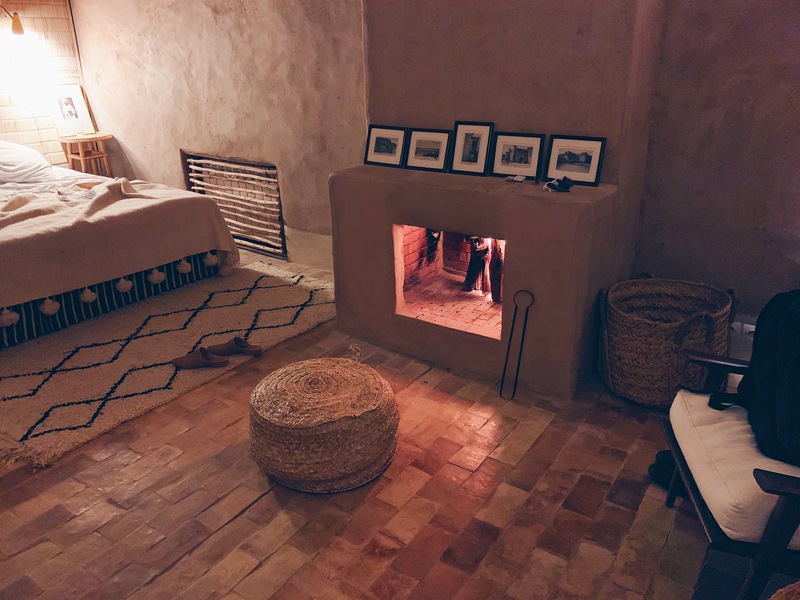 Riad Olema et Spa – What a beautiful place to spend our first couple nights in Morocco. The whole vibe of this place is calming and tranquil. We ate dinner here the first night, and the food was delicious. 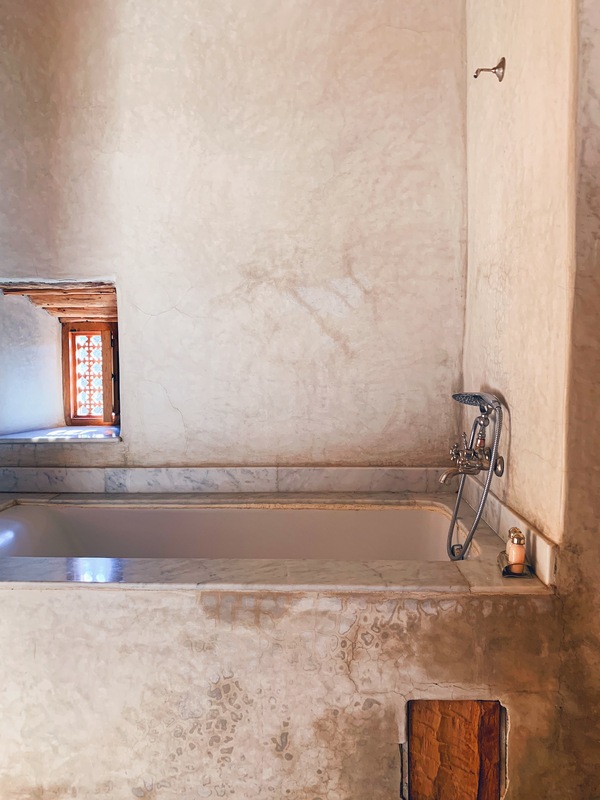 We also enjoyed a lovely hammam treatment. 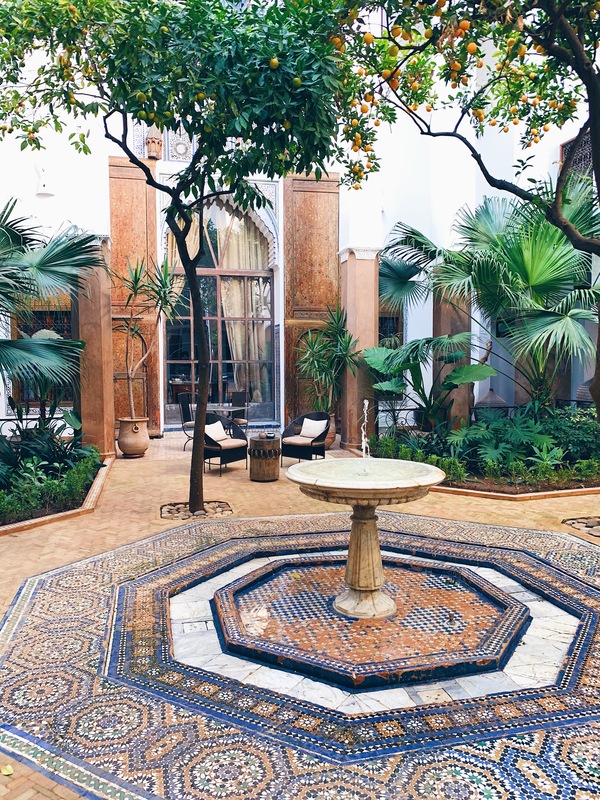 Riad Jardin Secret – A true gem. The interior design of this place is impeccable. 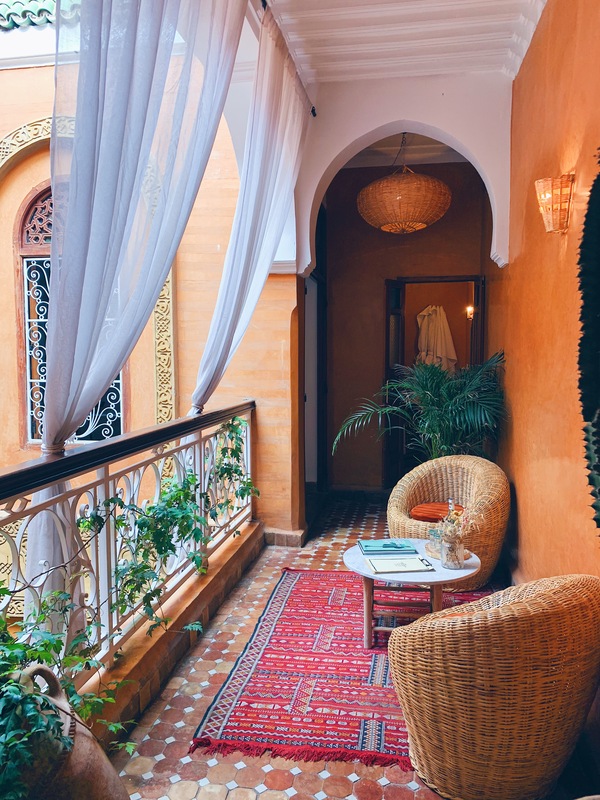 Every single corner of this riad is styled perfectly. 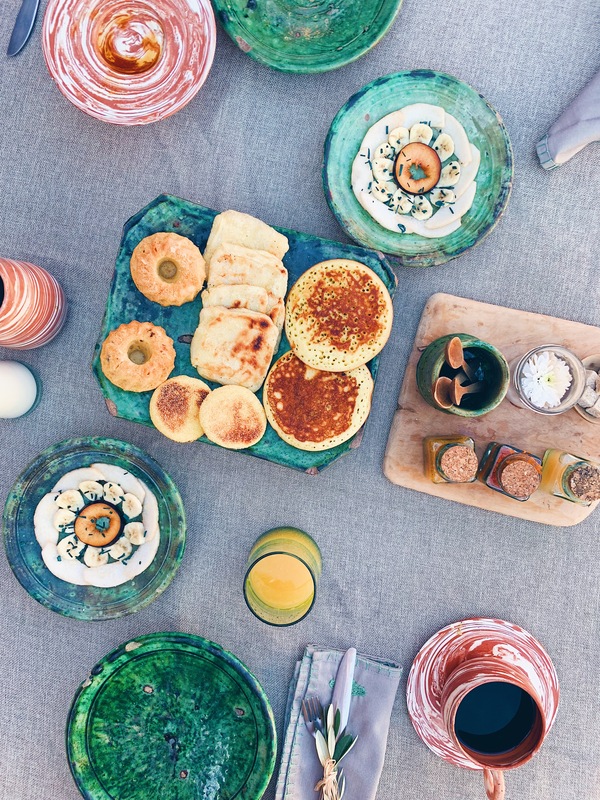 Eating breakfast and drinking tea on the pink rooftop terrace were definitely our favorite parts. 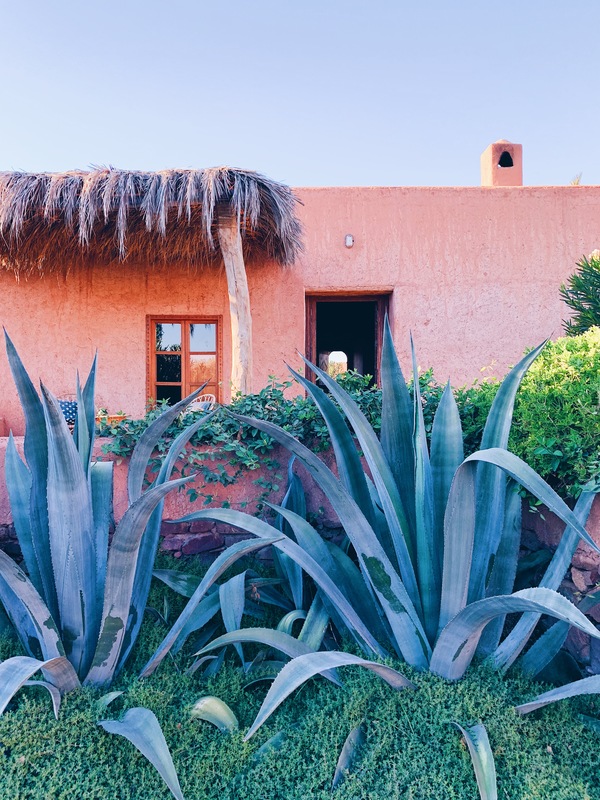 Berber Lodge – This place was on my list for about a year, so when we decided to go to Morocco, it was a must on our itinerary. And it’s pretty much paradise. Such an inspirational place to spend time. It’s quiet, relaxing, tucked away from mostly everything. Limited access to wifi. The best food ever. Romain and his staff were all so wonderful. Definitely a highlight of our trip. I’m already dreaming of going back. 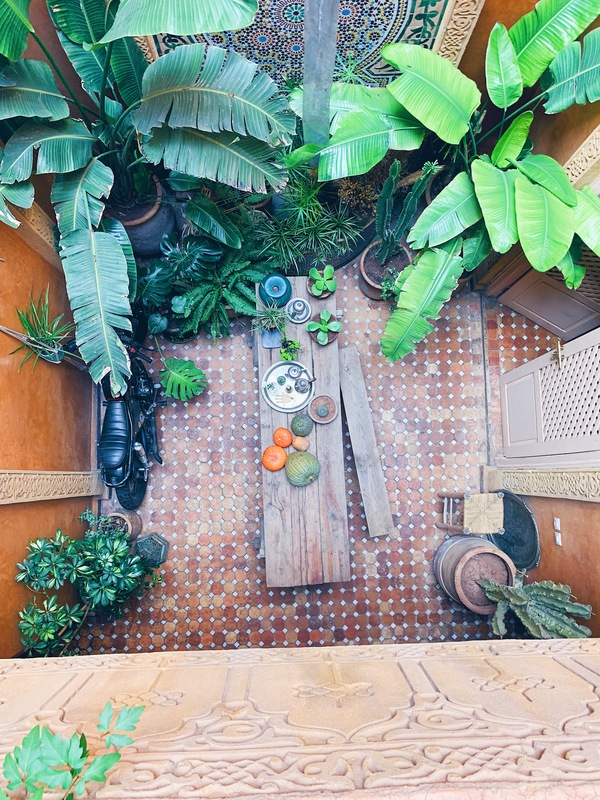 Riad Caravane – This riad was booked by Wild Morocco, but if you are venturing off on your own, this would be a lovely spot to book. Chez Pierre – Such a cute place in the Gorges du Dades. 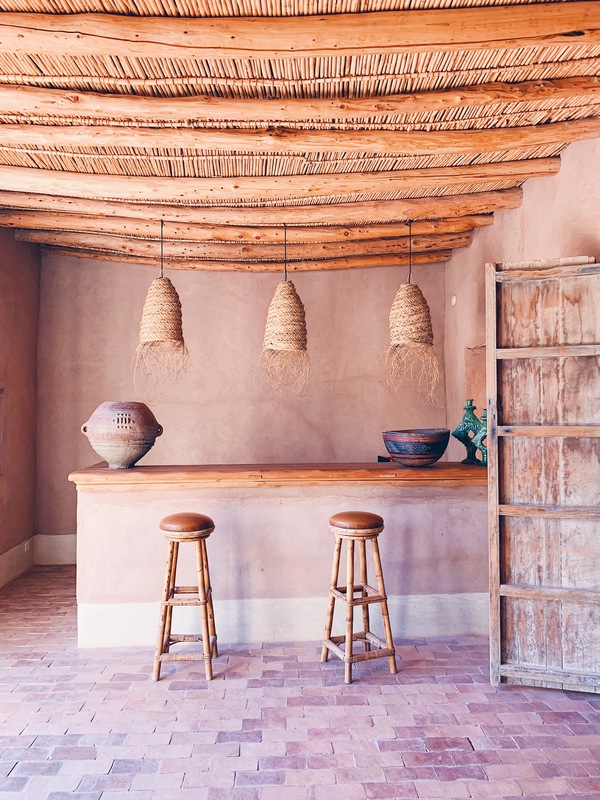 The room was a bit rustic, but still very charming. We especially loved the dinner at their restaurant. 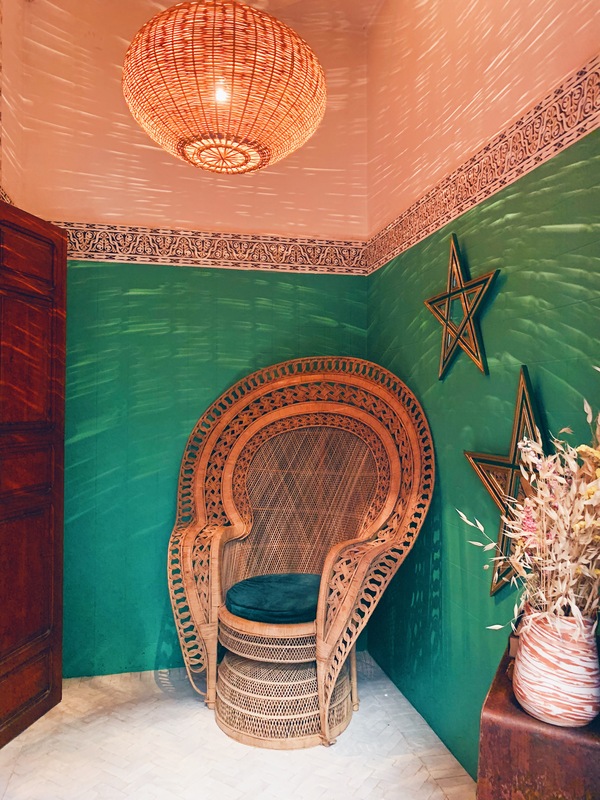 Riad Laaroussa – We absolutely loved everything about this riad. The rooftop terrace, our gorgeous room (We stayed in the Yellow Room) and the hammam were all highlights. The staff was so helpful with organizing our tour, dinner reservations and transport to the airport. 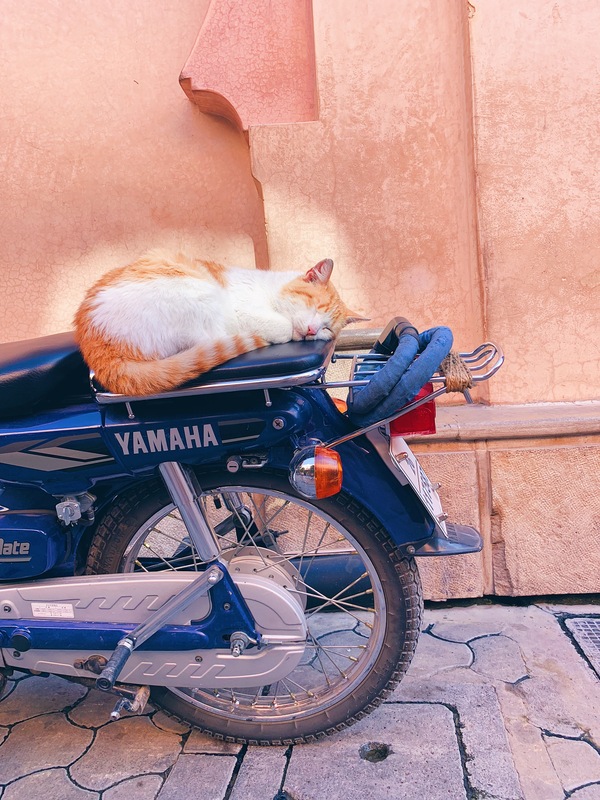 Jemaa el-Fna – The main square of the Marrakech Medina with monkeys, snakes, henna, street food and more. 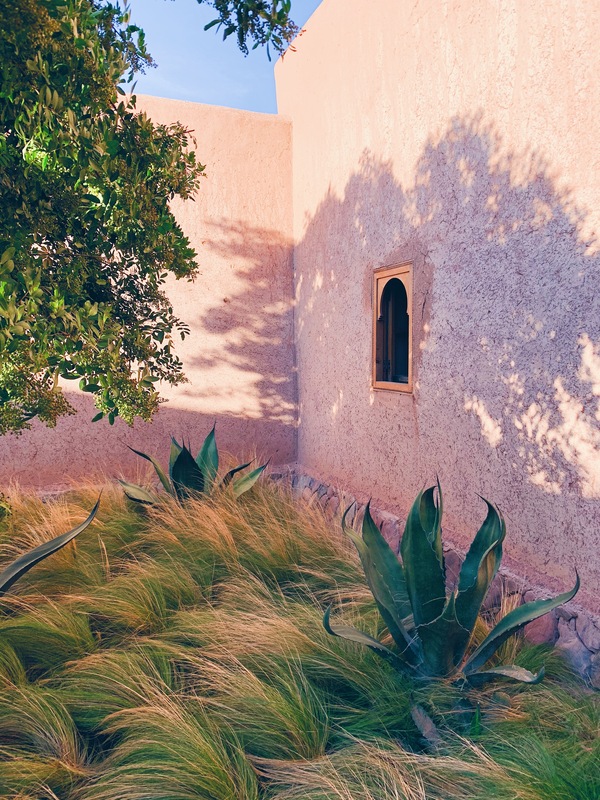 It’s a wild experience that really is a must if you’re in Marrakech. Personally, we didn’t hang out here, but it’s fun to pass through a few times. 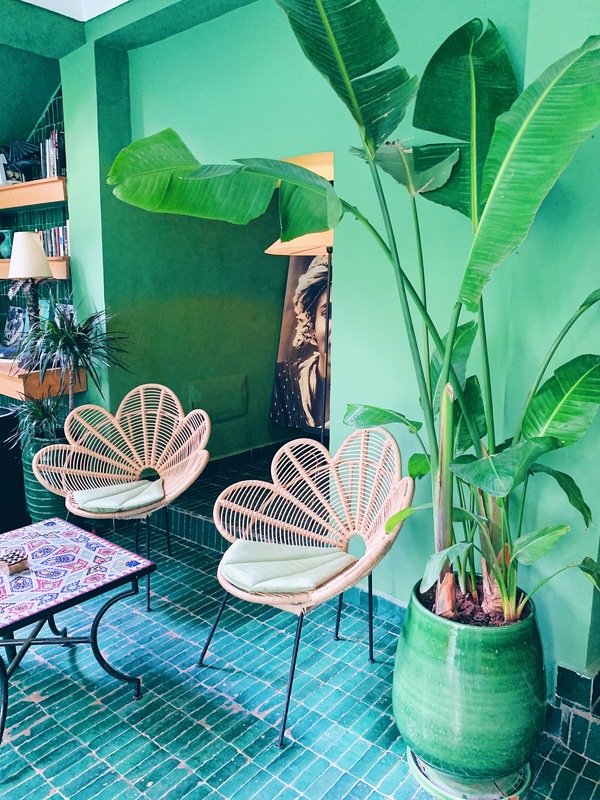 Jardin Majorelle and Yves Saint Laurent Museum – Absolutely stunning garden. Could have spent hours in here. The Museum is very lovely too. Recommend going early and avoiding weekends. 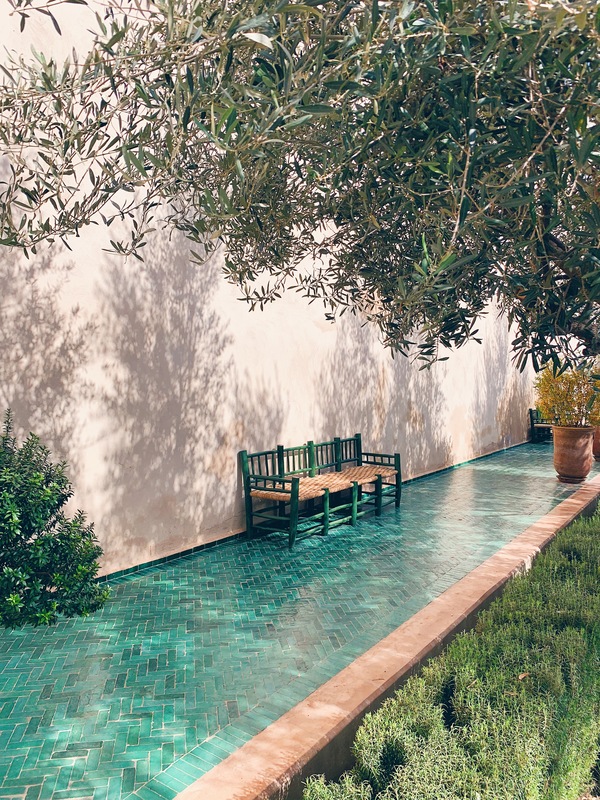 Le Jardin Secret – A calm respite from the madness of the Medina. Bahia Palace – Stunning palace with tile mosaics galore. Souks of Marrakech – No trip to Marrakech would be complete without several wanderings through the souks. It took a day for me to feel confident walking through, so take your time. It can be overwhelming. 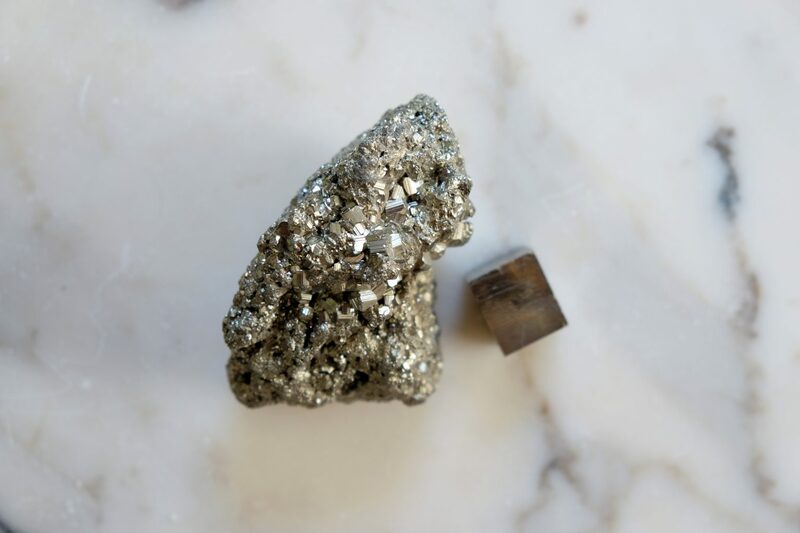 Sharing more about this in the General Tips section. 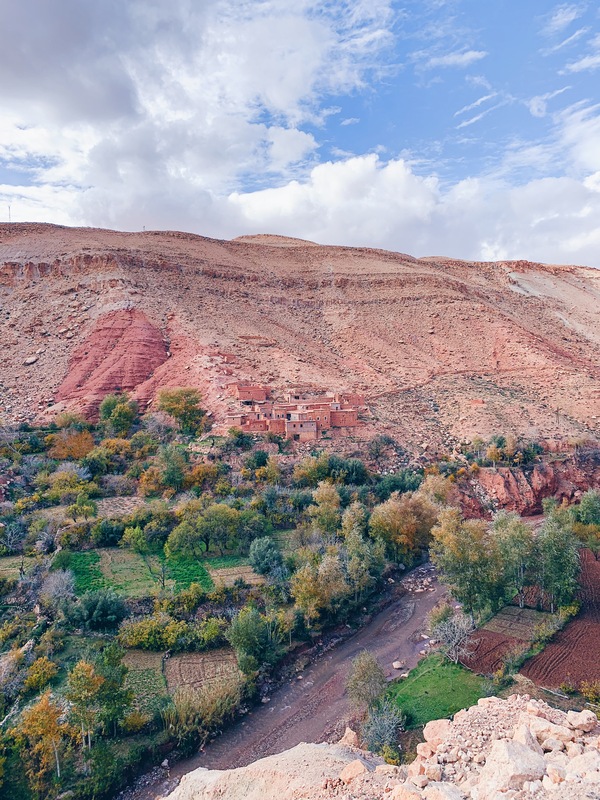 Atlas Mountains // Tizi n Tichka Pass – To see the high Atlas Mountains basically grow out of the desert is absolutely incredible and then to drive over Tizi n Tichka Pass is an experience all its own. 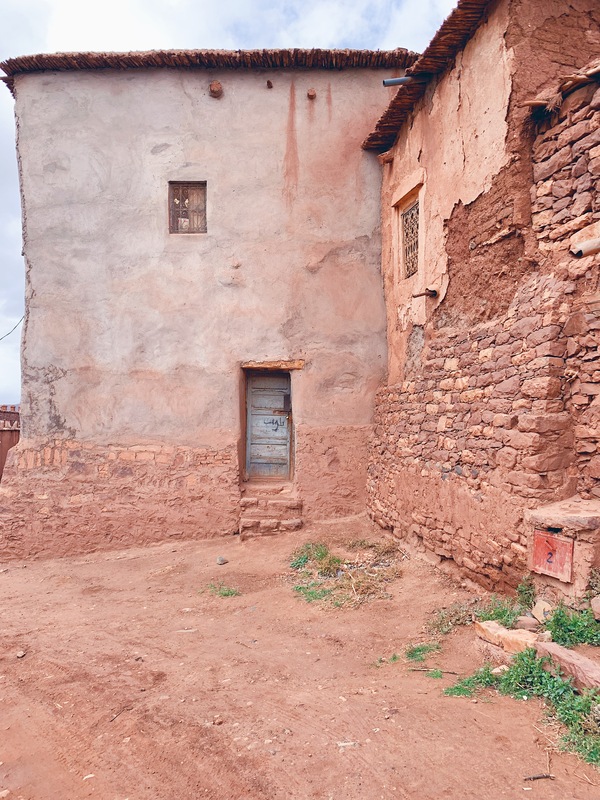 Its a side of Morocco you will not want to miss. 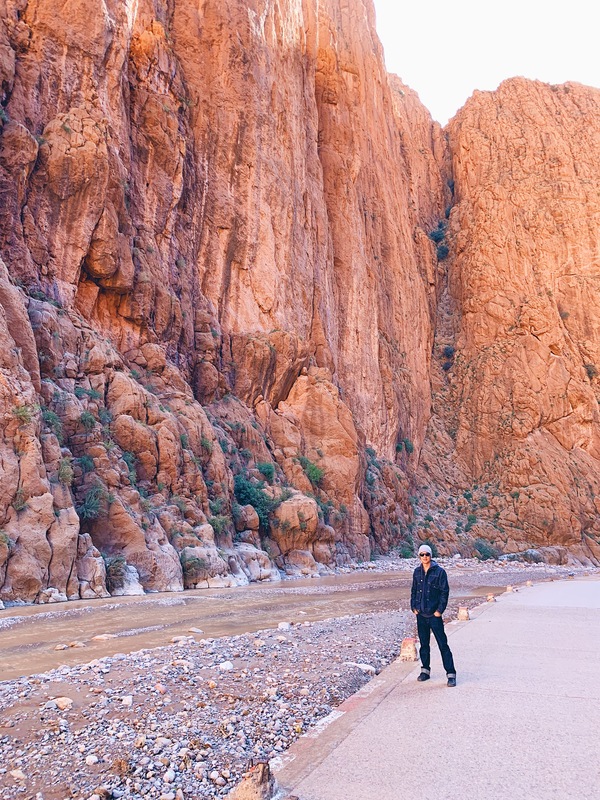 The Ounila Valley – Definitely one of the most beautiful natural landscapes we saw in Morocco. 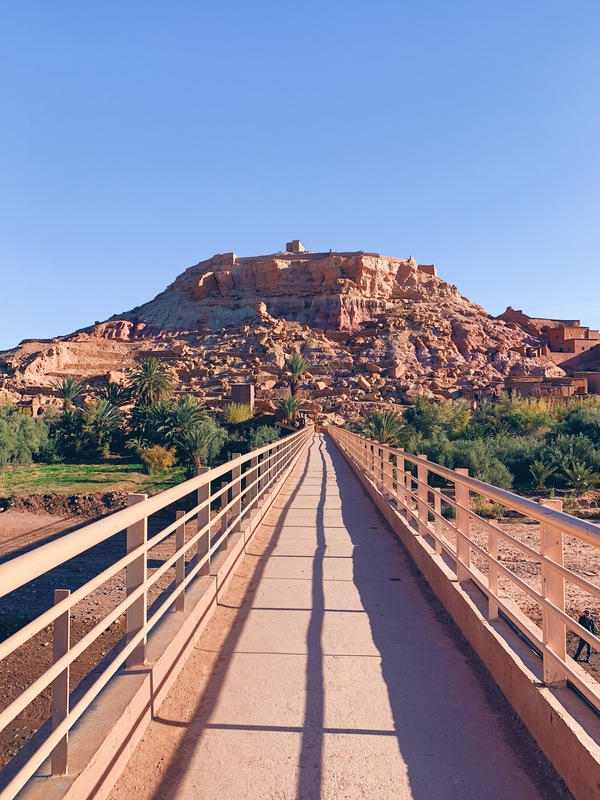 There are two roads to get to Ouarzazate, and the one through the Ounila Valley is longer, but sooooo worth it. 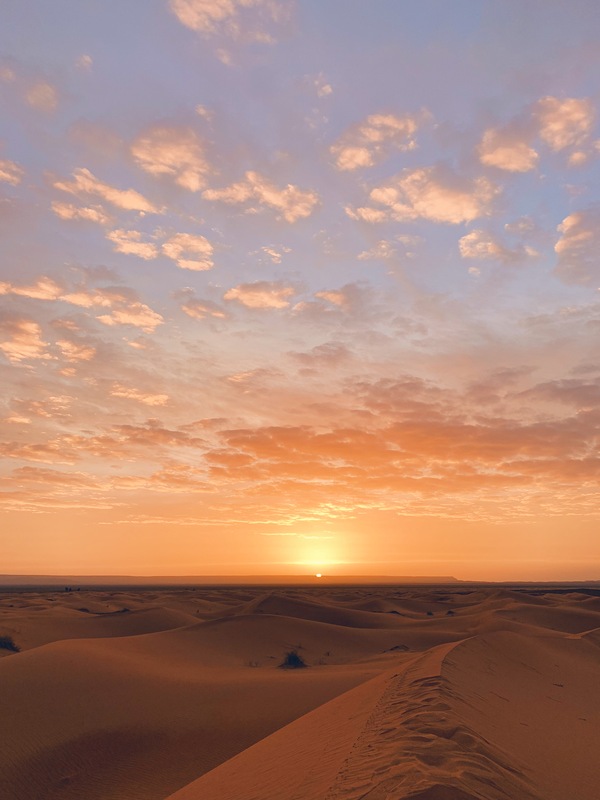 Sahara Desert – I mean what can you really say about the Sahara Desert landscape? It’s absolutely epic and worth the trek to see it in all its glory. 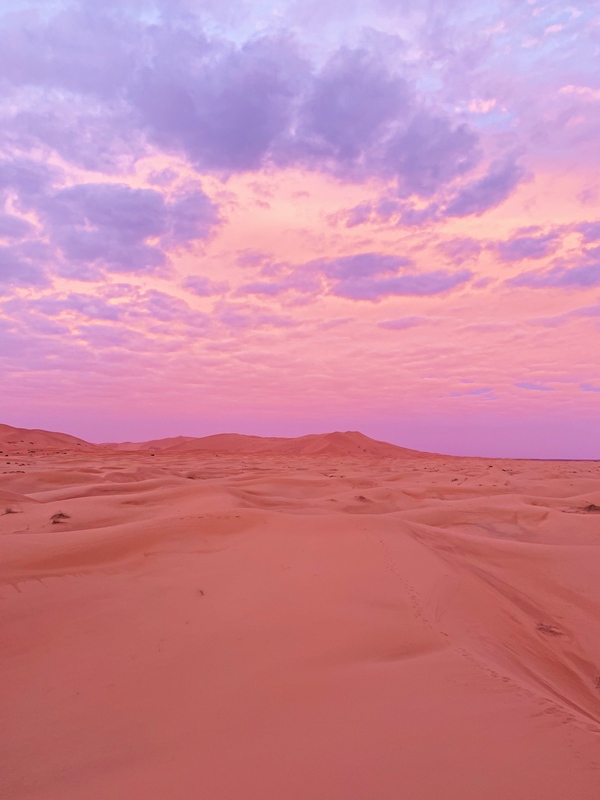 I will say that judging from pictures, you might think you’ll just have the whole desert to yourself. This is not true. While the landscape is undeniably gorgeous, you won’t find yourself alone out there. 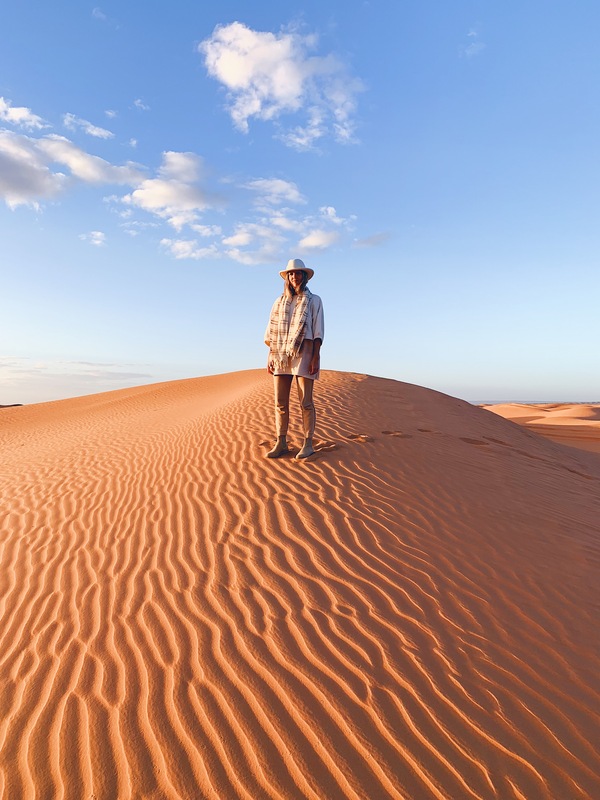 There are many tours and camps in Merzouga with people coming from all over the world to check it out. 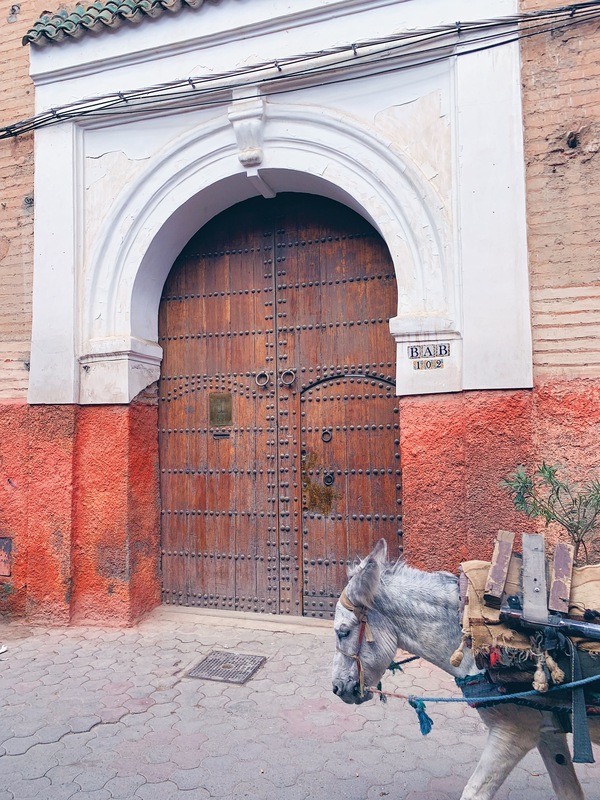 Blue Gate – The entrance to the Fes Medina, one of the main landmarks in this magical city. 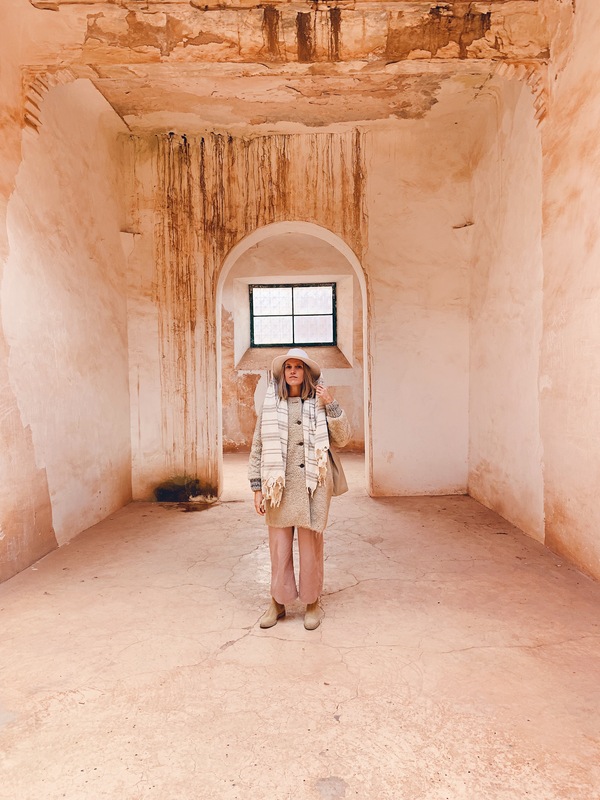 Fes Medina – We had very limited time in Fes (about 36 hours), so we opted to hire a tour guide though our riad (Laaroussa). We were SO glad we did. The tour was 3ish hours, and we got to see so much of the Medina and all the main highlights. If we would have stayed longer, I would have definitely spent a day getting lost in the wandering streets. Next trip! General note: We did not have a bad meal in Morocco. The food is incredible. It’s inherently healthy because it mostly consists of vegetables, meats and small amounts of grains. I’ve listed a few places we went to, but get curious! There are delicious foods to be eaten around every corner. 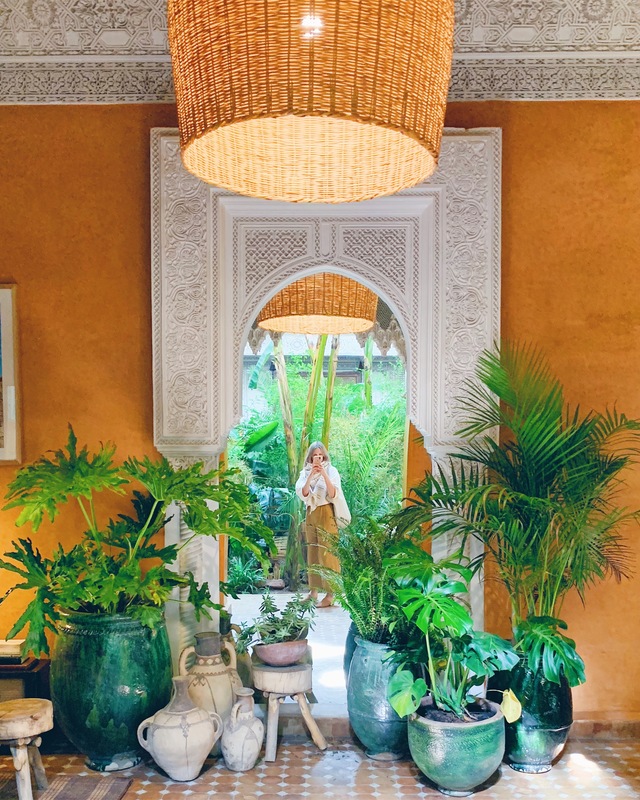 Al-Fassia – This all women owned and operated restaurant was one of our favorite meals in Marrakech. Highly recommend. Restaurant La Famille – This place is so dreamy. The patio is a lovely place to take a break from walking the souks. Everything we ordered was absolutely delicious. 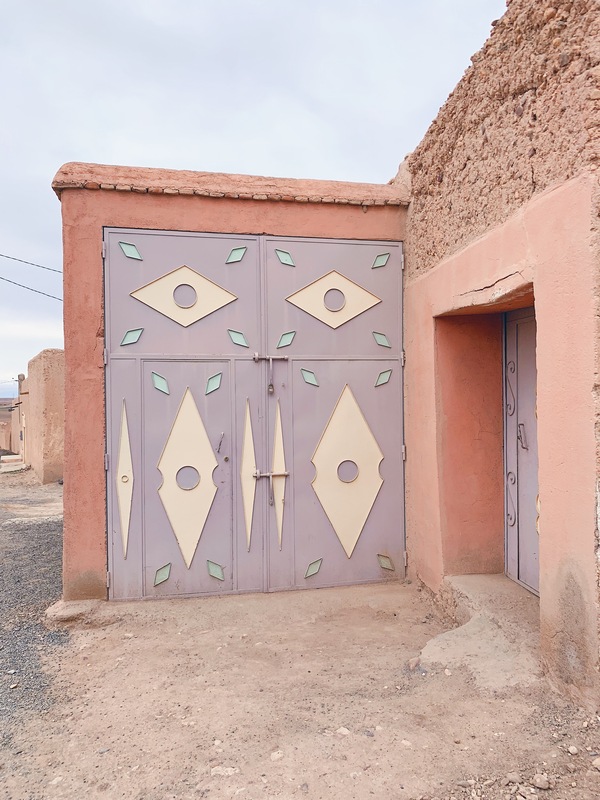 Berber Lodge – By far our favorite meals happened when we were staying at the Berber Lodge. Seriously incredible. 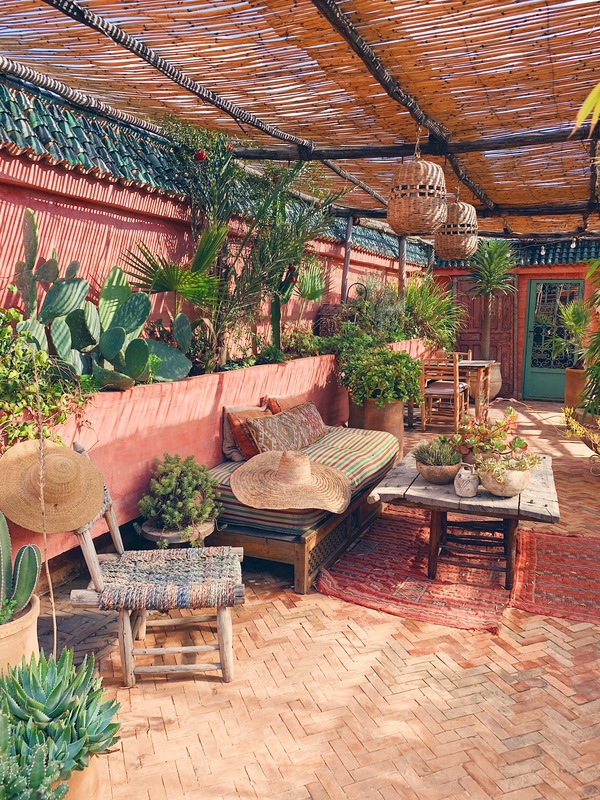 NOMAD – Beautiful rooftop terrace. Great for a sunset meal. No alcohol served. The food wasn’t mind blowing, but it was still great. We especially loved the desserts. Café Des Épices – Great place for lunch or a coffee midday. Perfect spot to stop and rest while enjoying the sites of the square. The Ruined Garden – Perfect garden spot for lunch. Cheap eats and great small plates for sharing. 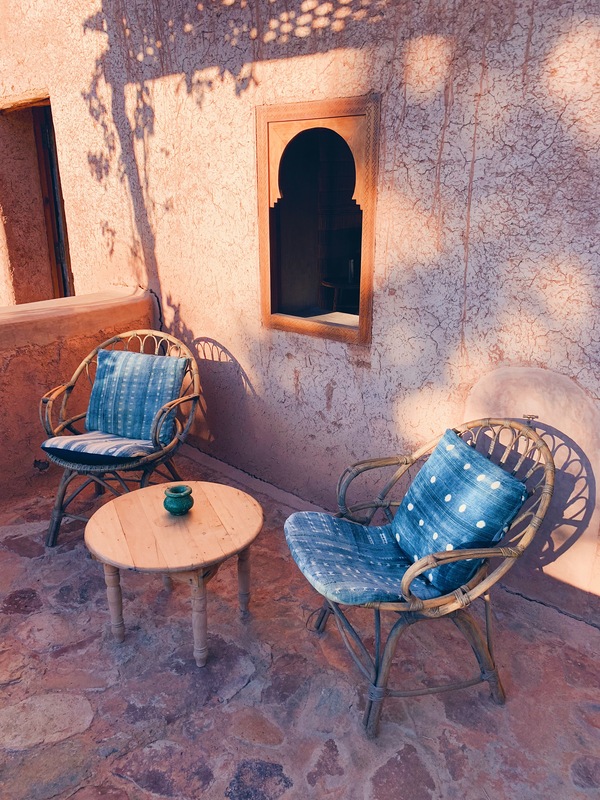 Dar Roumana – Beautiful restaurant in the terrace of a guesthouse. + Be respectful and remember you are in a Muslim country. Dress modestly. I kept pretty well covered besides showing some skin below my elbows and my ankles (cropped pants). It’s always a good idea to bring a shawl or scarf for added coverage if you need it. + Always carry some dirham (local currency) as many places don’t accept credit cards and cash is important for tipping. + Seek out the hammams wherever you are. Lots of riads have them, but if yours doesn’t, look for one nearby. 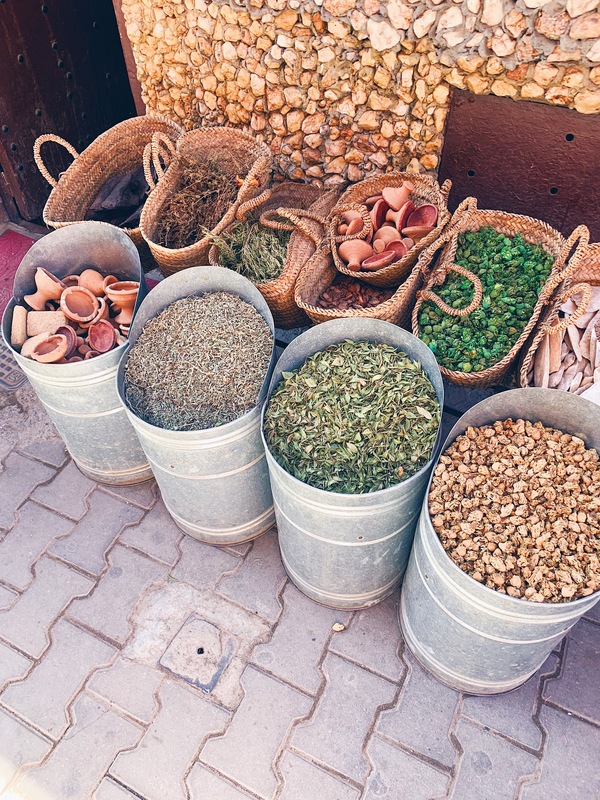 + Haggling in the souks is part of Moroccan culture. If you want to buy something, don’t take the first price offered to you. It’s expected that you will haggle for a fair price. 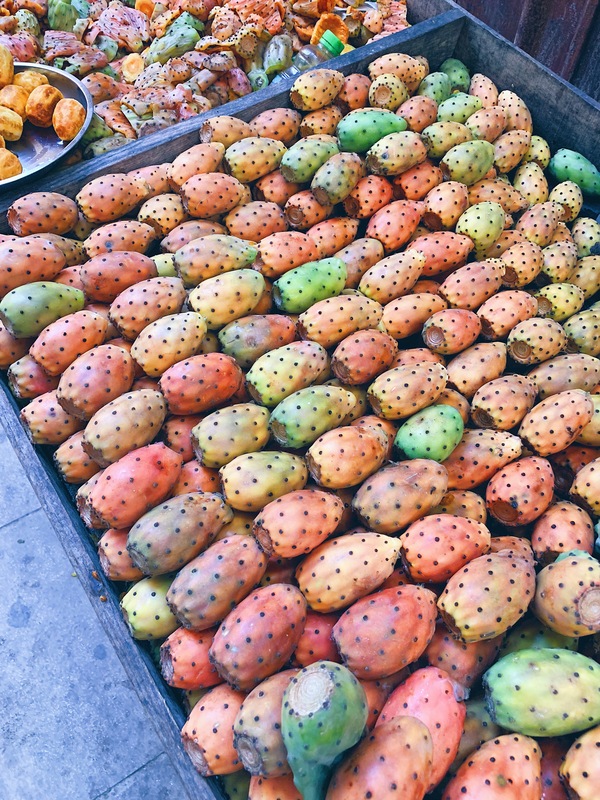 + That being said, there are no real fair prices or standard prices in Morocco because it really is all about what you feel is a good price and what you feel something is worth. What you would pay for a rug might be entirely different than what someone else would pay. Don’t worry so much about getting the best deal. Remember mostly everything you buy in Morocco is going to be a fraction of what it would cost if you bought it in the US or Europe. And the money you are spending is directly supporting people’s livelihoods. Most of the artisans rely solely on this income to sustain life. 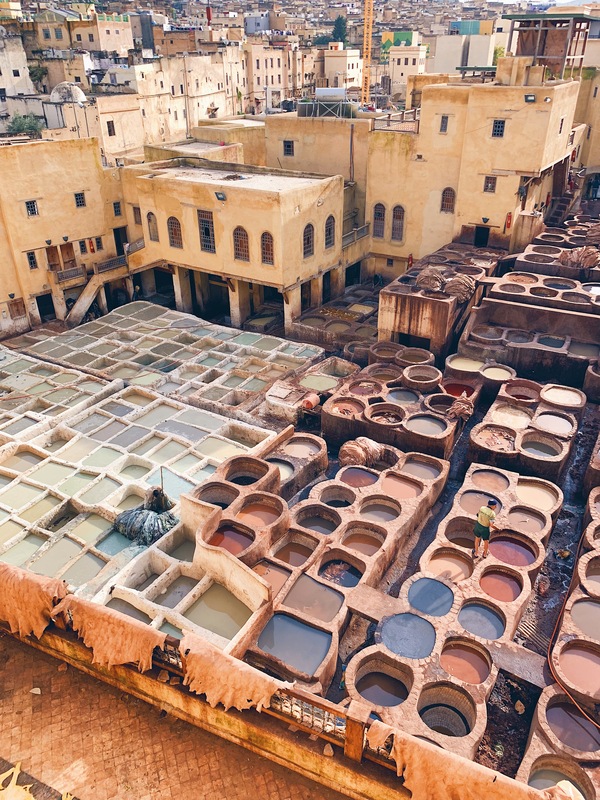 + The souks can be intense. I recommend staying off your phone and not using a map as much as possible when you’re navigating the streets. It might sound silly, but we found that when we acted confidently (even if we didn’t necessarily feel that confident) and walked with purpose that we didn’t receive as much attention as when we were wandering aimlessly, looking like lost tourists. + Don’t take anyone’s picture without asking permission first and if you do take their picture, be sure to tip them. Women especially do not like having their photos taken. + Get outside the cities! I can’t stress this enough. 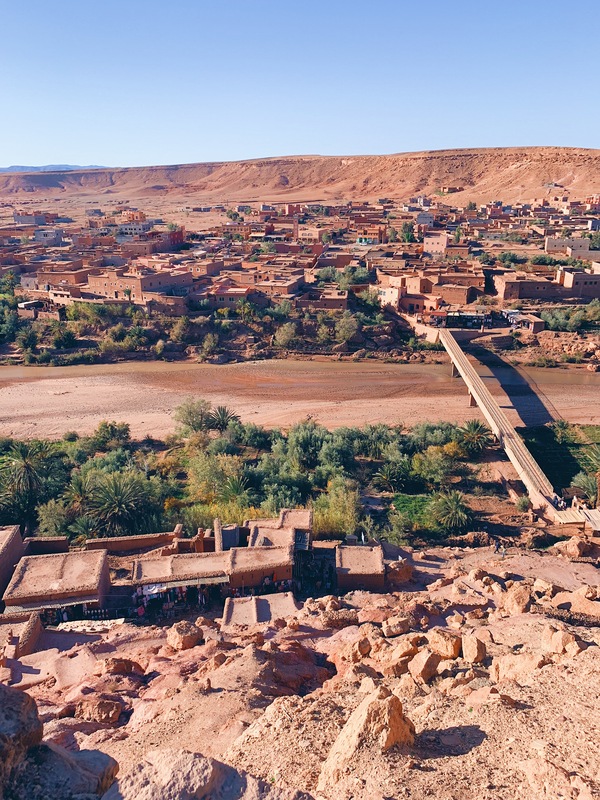 The cities are absolutely amazing, but the natural landscape of Morocco is incredibly beautiful and cannot be missed. 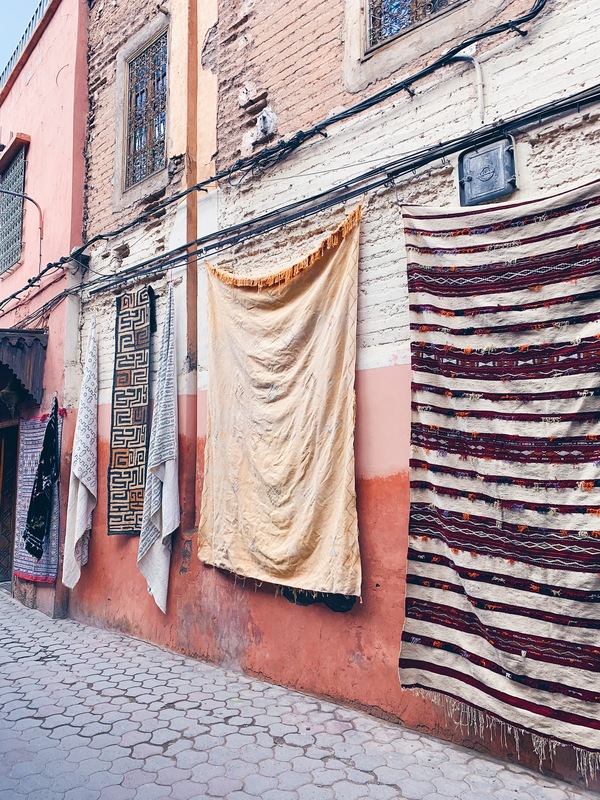 + Pretty much know that you won’t leave Morocco without buying a rug. It’s almost impossible. + You may encounter kids telling you streets are closed (when they really aren’t) and then offer to show you the way to go. Be aware that these people will ask for money. Decline their offer or be prepared to tip them with cash. 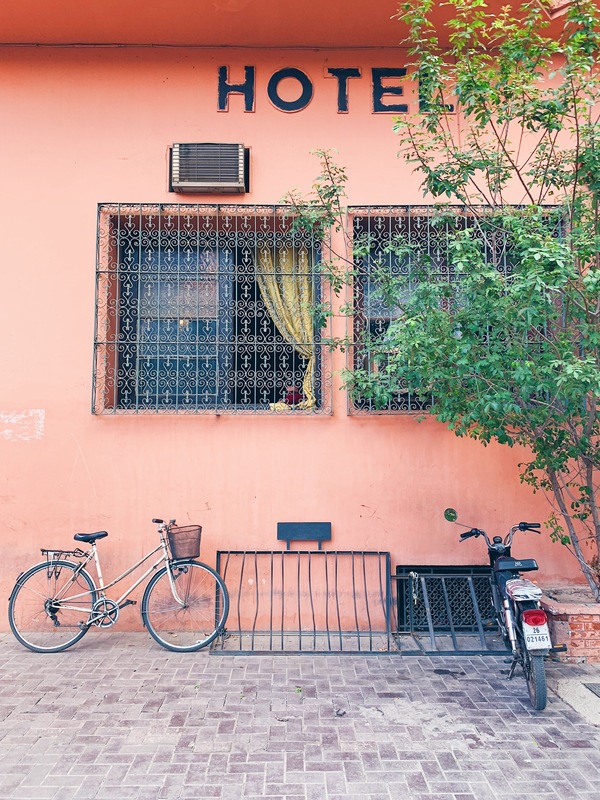 This is just one of the many scams we encountered in Marrakech. Just keep your wits about you, and you’ll be just fine. + Be okay with getting lost in the Medinas because you inevitably will. + Don’t drink the water. We used these filtering water bottles the whole time and did just fine. Otherwise buy bottled water. + Bring toilet paper or tissues with you when you go out. Most bathrooms don’t supply TP and many of the toilets are quite simply holes in the ground. + Back lots of layers. 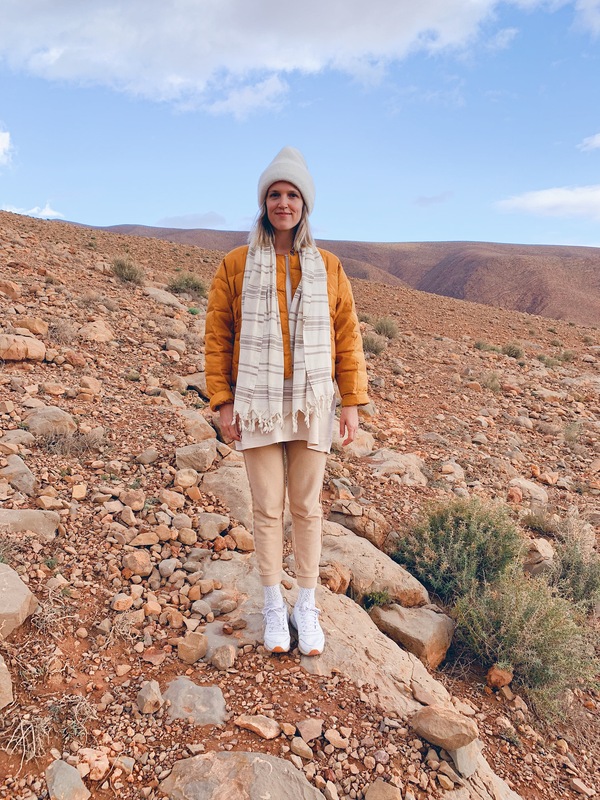 Depending on the season you go, Morocco can get quite cold. 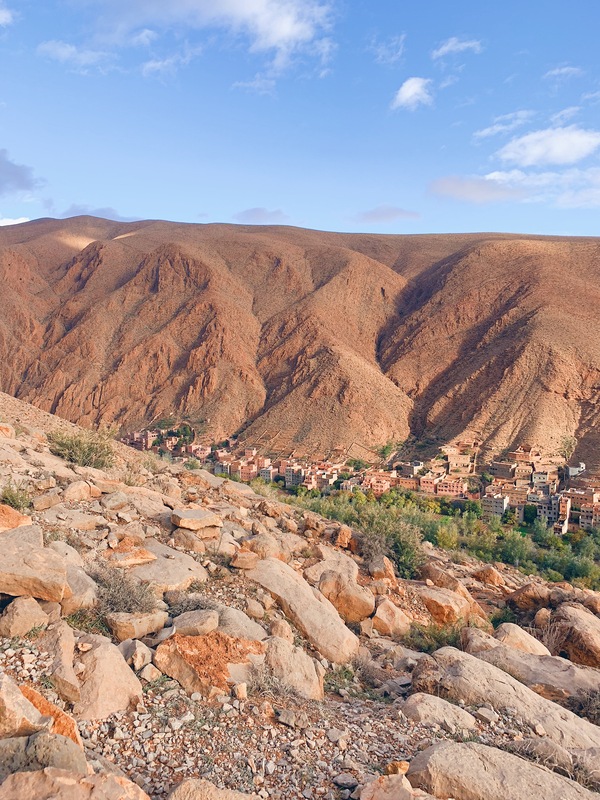 When we were in the Gorges du Dades, it was 32 degrees F when we woke up in the morning. 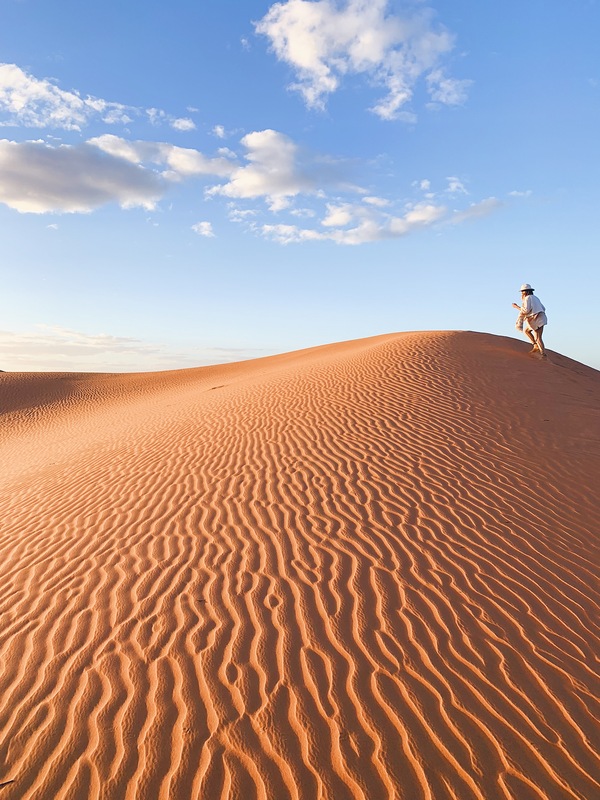 + Morocco is considered a mostly “dry” country. 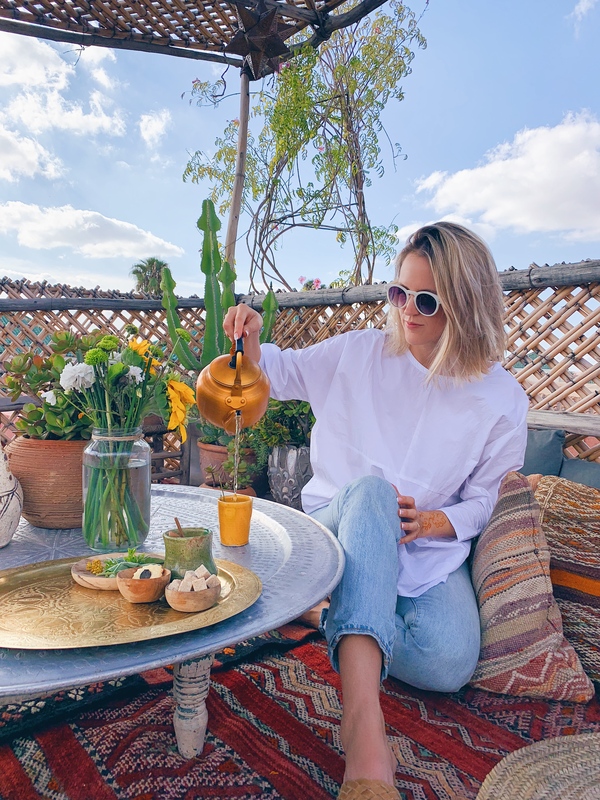 While you can usually order wine at your riad, lots of restaurants don’t serve alcohol. But we were surprised to find that Morocco produces wine. We fell in love with the “grey” or gris wine. It’s almost between a white and rose. 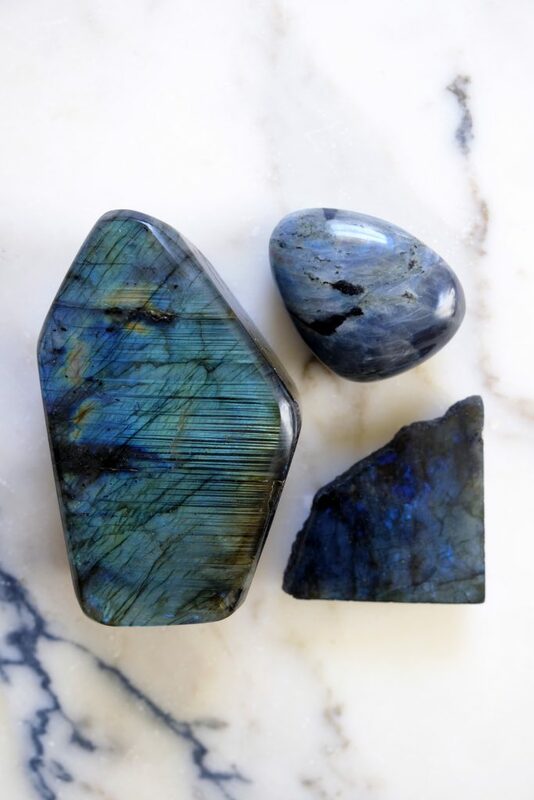 Every month I like to cleanse my crystals or “recharge” them in the light of the full moon. This allows them to return to their full frequency after being used all month for various purposes. 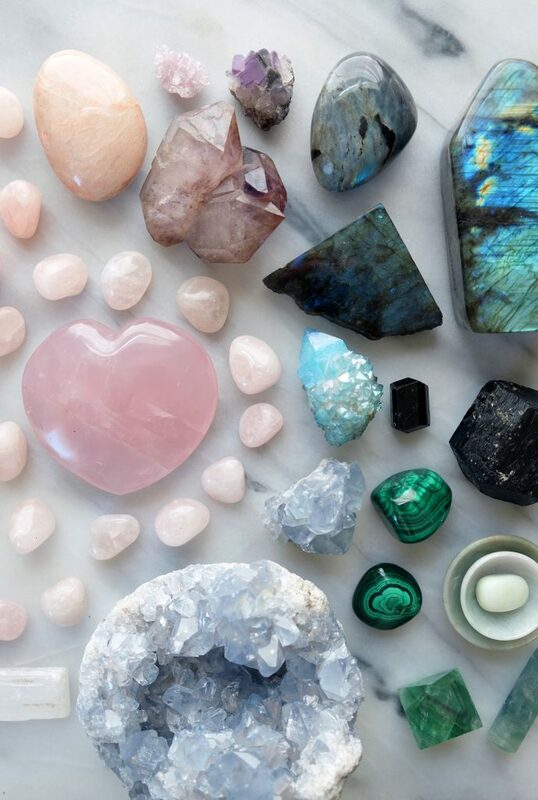 Even if you don’t believe in the vibrational and healing powers of crystals, they are undeniably beautiful to look at and promote a sense of peace and tranquility. 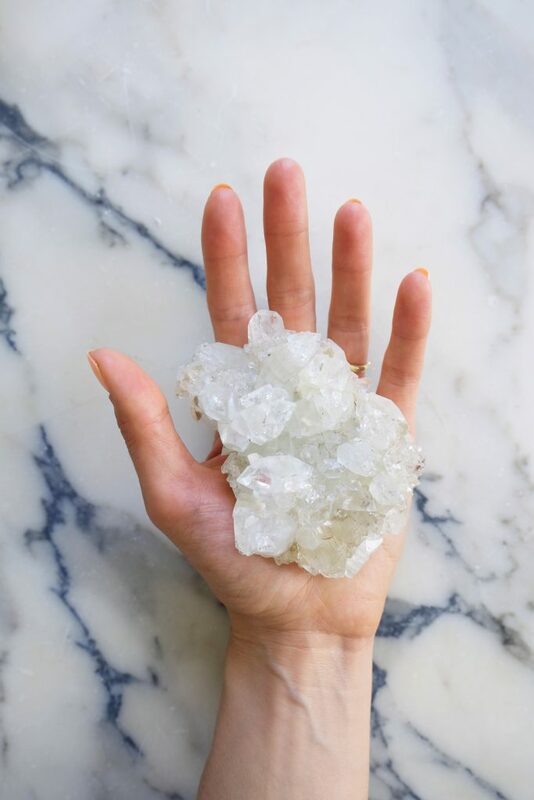 The list below is just a very small sampling of crystals. There are so many more out there. 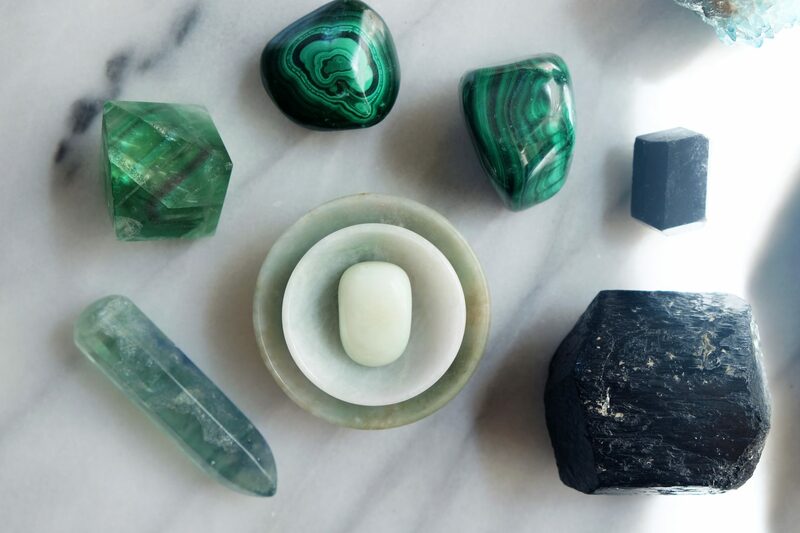 This book is a great resource for looking up crystals and their meanings, and this book is great for ways to use your crystals.